Item # 304538 Stash Points: 2,699 (?) This is the number of points you get in The Zumiez Stash for purchasing this item. Stash points are redeemable for exclusive rewards only available to Zumiez Stash members. To redeem your points check out the rewards catalog on thestash.zumiez.com. Hit the track in the Winner's Circle black long sleeve t-shirt from Bronson Speed Co. 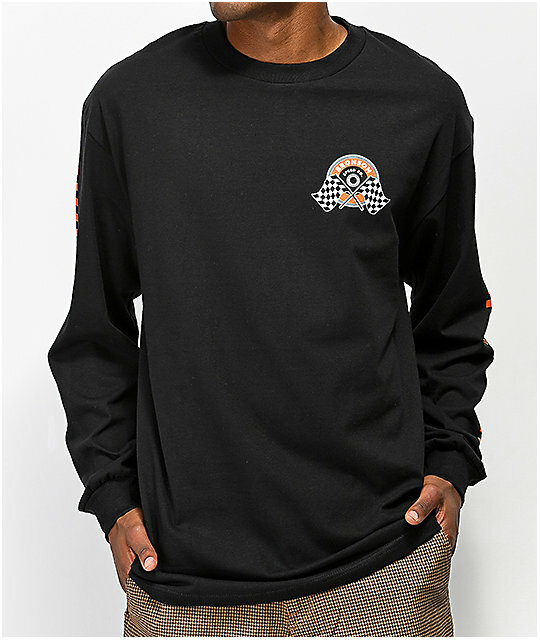 Known for their super speedy bearings, Bronson presents this black tee with orange and black checkerboard graphics down both sleeves and a logo graphic screen printed at the left chest. 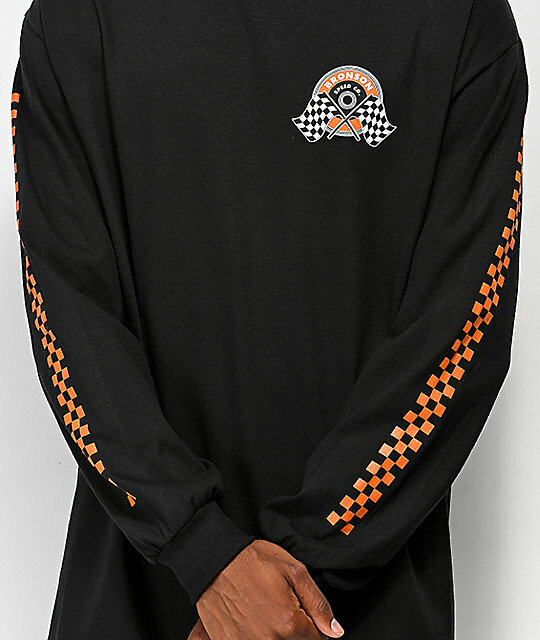 Winner's Circle Black Long Sleeve T-Shirt from Bronson Speed Co.
Orange and black checkerboard patterns screen printed down both sleeves. Ribbed sleeve cuffs and crew neck collar.